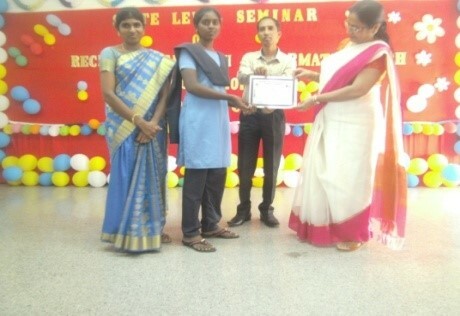 The Computer Science department organized a state-level seminar on August 30th, 2018 at Michael Job College of Arts and Science for Women, Sulur. 104 participants including Research Scholars, Staff and students from various colleges participated in the seminar. The seminar began with invocation at 10 A.M. 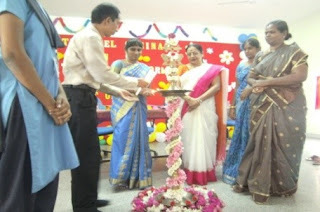 The dignitaries lit the kuthuvilaku. Ms. Stabny Monika, student of II B.Sc. (CS), welcomed the gathering. The dignitaries were honoured with a memento. Papers were presented by the various participants till 2 PM. Subsequently, the participants were given their certificates. The Seminar was concluded with a Vote of thanks to the delegates, sponsors, participants and organizers of the event. This is a great news about seminars in school and collages, such types of seminars or campus increase the personality of students. To read more blogs related to seminars please visit at Typical Student.